Workin' Hard or Hardly Workin' today!? Sooo..yesterday I told my boyfriend manfriend partner in crime Clint, "No white after labor day" and he looked at me like I was crazy and said "what do you mean, I can't wear white, what about my socks... I can't wear any of my white socks!" Ahh how I love that guy, he always says the silliest things that make me laugh. Today's post was actually not planned to coordinate with the labor day taboo, it was just a coincidence that made it fitting for the holiday. Every time Labor Day rolls around I think about that ridiculous fashion rule, does any one even follow it anymore? I wear white all year round, it is a 'can't live without' color for me. So you better believe this girl will be rocking her white jeans, and simple white tees until pigs fly. I've been wanting to share a matchy matchy outfit with this bag ever since I got it! The color combo is so perfect ( in my opinion). And to be honest, most days I reach for outfits that don't require too much coordination: Jeans, a top, and neutral shoes... done, and out the door. 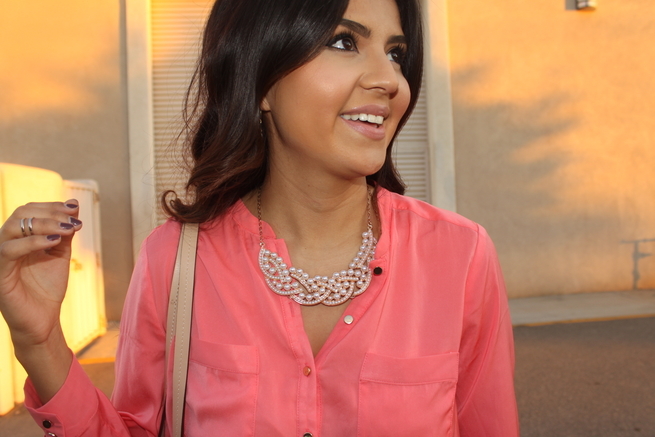 I also love this cute pearl necklace, I instantly gravitated towards it because of the non-conventional pearl necklace shape. I think it adds just enough detail, to an other wise simple ensemble. Beautiful color on you! I'm doing white jeans today too. Don't think I can give them up for fall! 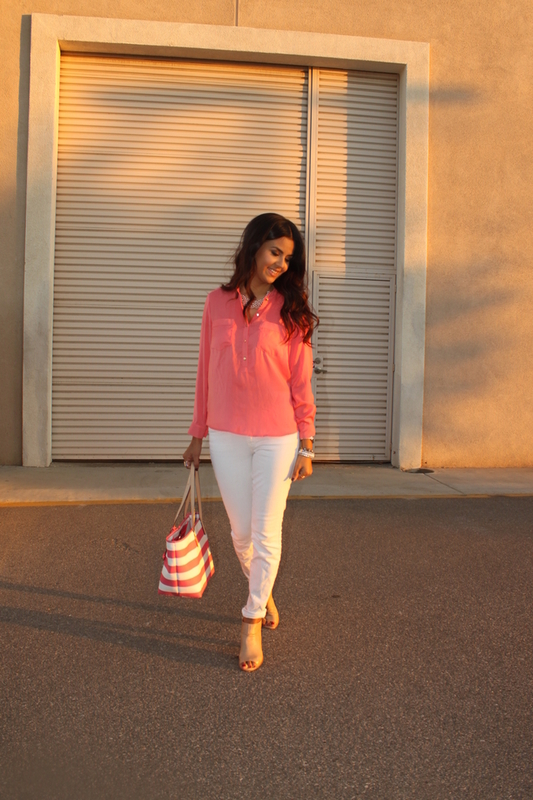 I posted about the "no white after Labor Day" rule too today! 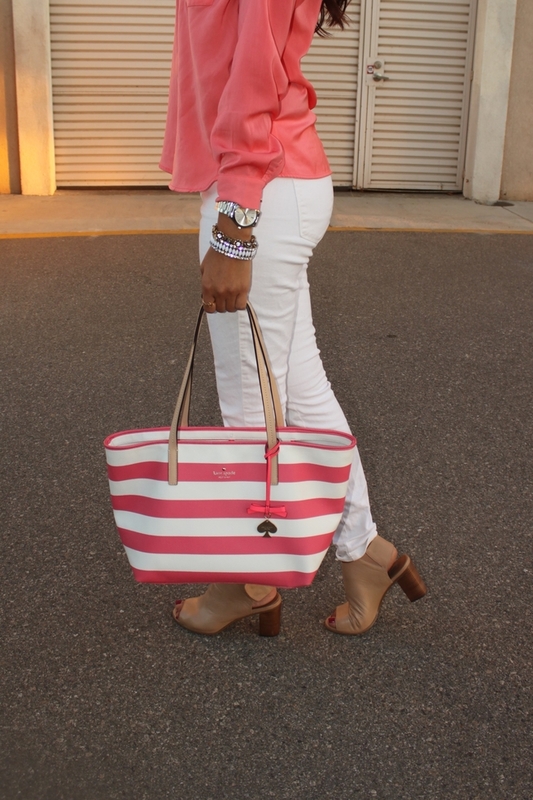 White pants are such a staple and I love how you styled them with the pink and the tote and all of the jewelry. I talked all about the rule and how it should be broken. Such a gorgeous look. 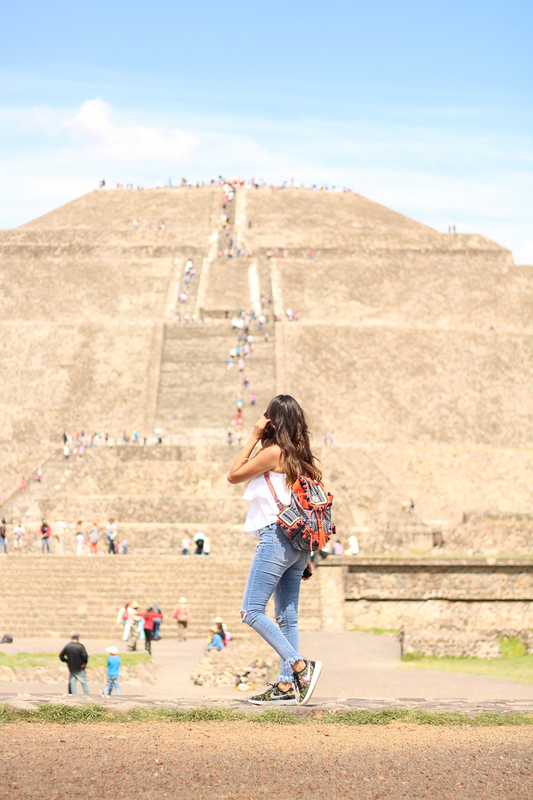 You look phenomenal as always - beautiful bag! You look so beautiful! 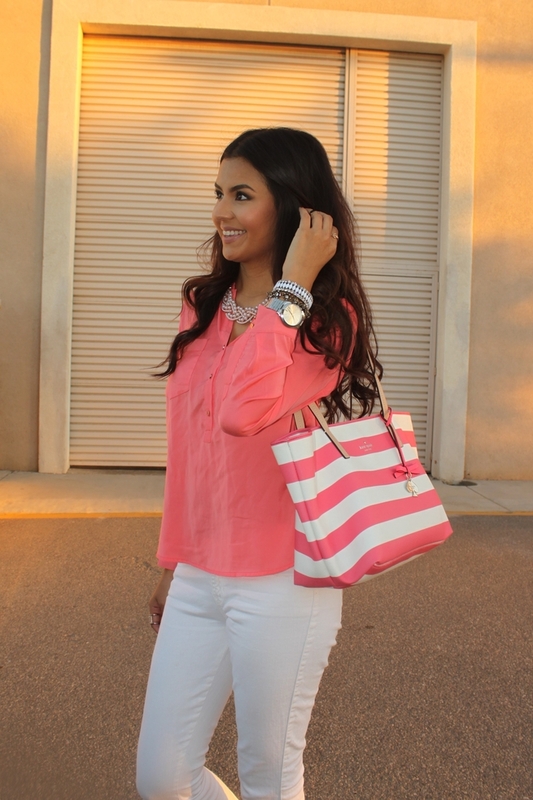 Love the coral blouse and the bag! 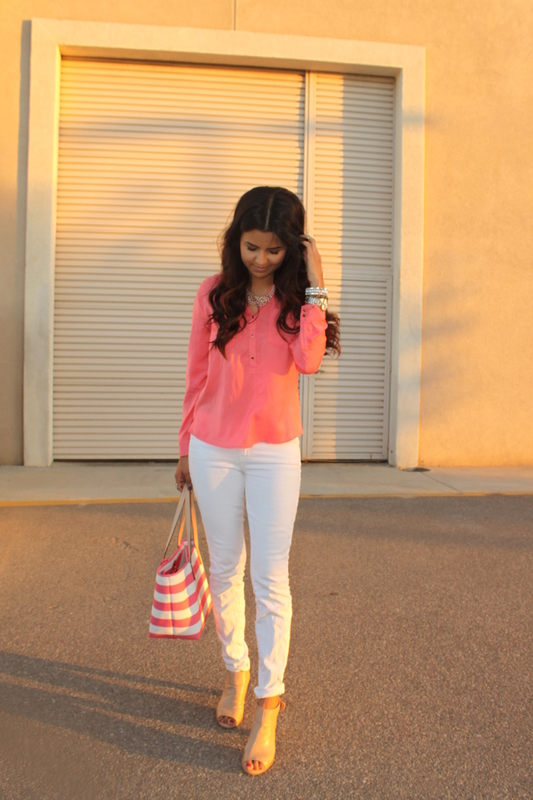 I love the white and coral. Too funny about Clint.